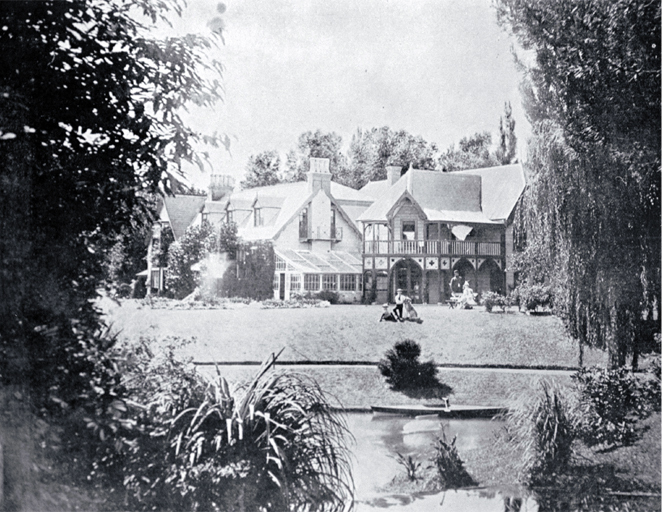 Today we know the Ilam Homestead as the University of Canterbury's staff club and for its connections to the Parker-Hulme case, but another house existed on the site and burnt down in 1910. This wooden house was built in the 1850s for the Hon. J. C. Watts Russell, a prominent early settler. It changed hands several times and in 1910 was owned by the Countess Reina Ruys Fortega de Fresnedo. The Free Lance newspaper of 5 October 1907 tells us that she is a lady of 'Spanish birth and estates' and that she is a 'countess by her own inheritance'. In 1907 she was making her first trip to the colonies, having done much travelling in the Old World. 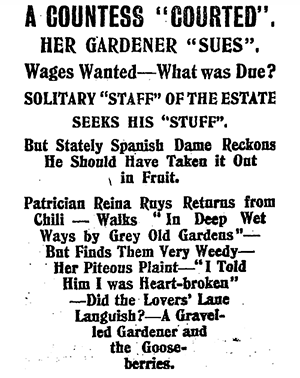 Reports on the Press and the Lyttelton Times, both on 23 August provide quite a lot of detail abut the fire. The Countess was away in Australia, leaving the caretaker, Mr H. J. Croker as the only occupant. He escaped, but rather stupidly went back in the retrieve his gold watch (do not do this!) Thankfully the house was insured (for £2000) but the contents - which included some splendid furniture, silverware, and a new piano and pianola - weren't. Fortunately the cats and dogs managed to save themselves, but sadly a number of guinea pigs and canaries were not so fortunate. There were also two caged parrots (or possibly cockatoos). The fire seems to have destroyed or melted the cage and one of the parrots didn't make it, but the other one did, albeit in a singed condition.